This is part two of our four-part Board of Directors blog series. Stay tuned for more posts coming soon! Charities Review Council’s board and staff created a new, community-focused plan when it completed strategic planning last year. Long-time board members, like Courtney and Robert, helped guide this work, ensuring it was bold and aspirational, yet grounded in reality and historical context. As we continue our Board of Directors blog series, we interviewed our two longest-standing board members, Courtney Poja and Robert Pickering. 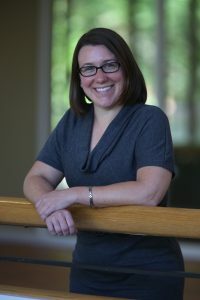 Courtney Poja is the Director of Advancement at Cornerstone, a Meets Standards® nonprofit serving families and individuals affected by domestic violence, sexual violence, and human trafficking. Courtney has 12+ years of nonprofit fundraising experience and has served on Charities Review Council’s Board of Directors for four years. In addition to her work on the board, Courtney serves as the Council’s Governance Committee Chair, while also volunteering with the Twin Cities Chapter of Social Enterprise Alliance, and fundraising for LegalCORP’s Inventor Assistance Program, the first pro-bono patent program in the country. 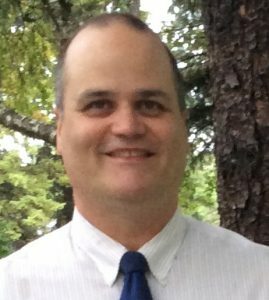 Robert Pickering is the Chief Financial Officer at Community Involvement Programs, a Meets Standards® nonprofit providing a variety of services for individuals with intellectual / developmental disabilities in the Twin Cities metro area. Robert has 20+ years of nonprofit finance experience and has served on Charities Review Council’s Board of Directors for six years. Last year, Robert served as Board Treasurer, lending his financial expertise to help guide our work. He’s also currently serving as a board member for Community Dental Care and the Nonprofit Insurance Trust. What excites you about serving on Charities Review Council’s Board of Directors? Courtney: There are so many amazing nonprofits doing important work in our community. As a Council board member, I get to support organizations as they grow, helping them strengthen their internal operations so that they can better deliver on their mission. Robert: I love the work that Charities Review Council is doing to support strong and authentic, donor-nonprofit relationships. As a board member, I find joy in helping nonprofits achieve standards that demonstrate organizational strength. What unique skill, experience and/or expertise do you bring to Charities Review Council’s Board of Directors? Courtney: I’ve been working in nonprofit fundraising for 12+ years. As a fundraiser, I love strategizing on how donors can connect to nonprofits, and nonprofits to donors, in meaningful ways. This passion aligns with the Council’s new mission statement, which is focused on strong donor-nonprofit relationships. Robert: For 20+ years, I’ve helped nonprofits lead the way in financial management, supporting the creation and application of strong financial practices, policies, and procedures. Last year, I was able to directly apply these skills, serving as the Council’s Board Treasurer. What is one thing you wish people knew about Charities Review Council? Courtney: The Council is committed to supporting and strengthening nonprofits of all sizes, even the small ones. Did you know Charities Review Council doesn’t currently charge nonprofit partners what it costs to complete an Accountability Wizard® nonprofit review? By underwriting some of this expense, small nonprofits have access to capacity-building services that they otherwise would not be able to afford. Robert: The Council’s board and staff are phenomenal! I hope you have the opportunity to interact with them at some point. They’re passionate, knowledgeable, and strong advocates for the sector. What makes a donor-nonprofit relationship successful? Courtney: Trust, accountability, and respect, from both parties. Robert: Simple gestures go a long way. I think two-way communication is important, whether its sharing program accomplishments or reaching out simply to say ‘thanks.’ Staying in communication with one another helps build stronger relationships. Please join us in thanking Courtney and Robert for their many years of board service by sending a note to info@smartgivers.org. Stay tuned for part three of our Board of Directors blog series coming soon!